McCoy Leaves Jacksonville in a walking boot; Wallace to start vs Panthers? As if the injuries suffered all week long and last week against the Jets were not enough, the Browns could be forced to go back to Seneca Wallace next week after Colt McCoy got his ankle rolled up on during today’s 24-20 loss to the Jags. 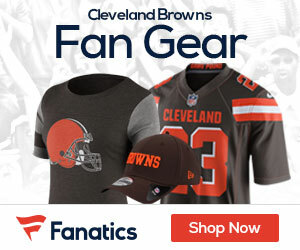 Browns quarterback Colt McCoy left Sunday’s loss to the Jaguars in a walking boot, the kind his fellow quarterbacks Seneca Wallace and Jake Delhomme have worn this season for high ankle sprains. No diagnosis has been given yet for McCoy’s injury. He will undergo further exams Monday in Cleveland. McCoy injured the ankle on an 11-yard sack in the third quarter on a bootleg play. For a short period of time, Wallace warmed up on the sidelines. But McCoy said he wanted to stay in the game and felt he could finish. Wallace said he had no idea why they didn’t go to him. “I just go in when they tell me,” he said.